Following word that Apple's recent iOS 11.3 update killed touch functionality for iPhone 8 users with aftermarket displays, a new report claims that a similar issue is also affecting iPhone 8 and iPhone X users with authentic replacement screens if they're put in by an unofficial repair outfit —but as with a previous issue, the problem doesn't seem to be universal. Some repaired phones are losing their ability to automatically adjust brightness, and the ambient light sensor is apparently being disabled by iOS during bootup. Unlike the touch issue manifesting after a repair, the light sensor problem is affecting devices running versions of iOS as far back as iOS 11.1. "I've been waiting for this for five years to be honest, since the 5S," one repairer told Engadget in a report on Wednesday. "It's a scary looking future for me." But, as with the touch issue, the problem doesn't seem to be across the board. While the report cited swapping out two displays on two identical phones, repair shops contacted by AppleInsider don't always see the ambient light sensor being disabled after a repair. One high-volume third-party repair shop speaking under condition of anonymity told AppleInsider on Monday that about one in three screen repairs on the iPhone 8 family were having the problem. It all does seem to be coming back down to the chip that needs to be "updated" according to Tuesday's screen repair report, and it isn't clear what precisely is happening, or what specific action trips the disabling of the sensor. "When Apple repairs a screen, they can use Horizon," said our source. "Saying that it's happening on all repairs [we do] isn't right, but it's still a lot more than we want." 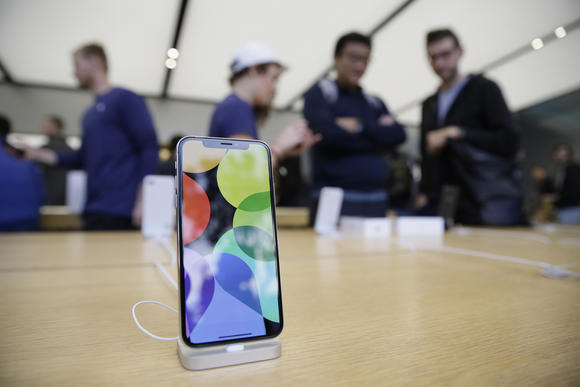 The situation is likely to have serious ramifications for unauthorized repair firms, since they can't service iPhone 8 and X displays despite broken glass being one of the most common smartphone problems. People will often turn to those companies to avoid the prices charged by Apple. Apple screen repair prices can potentially be extremely expensive. While they're typically just $29 after paying for an AppleCare+ warranty, out-of-warranty costs range from $129 for an iPhone SE to $279 for an iPhone X. The third-party shop contacted by AppleInsider charges as little as $59. Apple's stance towards third-party screen repairs seemed to relax last year when the company said they wouldn't void an iPhone's warranty so long as they don't damage any other components. It also made its Horizon calibration machine available to select authorized service providers. At the same time, Apple's policies and tightly-integrated designs are often unfriendly to unauthorized repairs, whether by dedicated businesses or individuals. The company opposes "Right to Repair" laws, which would require it to make manuals and parts available to the public much like the auto industry. In 2016, customers sued Apple over "Error 53" glitches, in which iPhones were bricked after third-party repair personnel altered the Touch ID technology —which Apple acknowledged that year was part of Touch ID security.